Welcome to SEI Breakout Boxes, your source for Aerospace quality breakout boxes and boards at affordable prices. We understand how critical the signal testing process is to your quality control process, and our D-SS Series breakout boxes are engineered to provide superior support for Aerospace system integration, test and troubleshooting. Our D Series and Micro-D Series breakout boards offer convenient test signal access during development and qualification testing. With our industry leading manufacturing capabilities, we can also create custom breakout boxes to fit your needs. We carry an outstanding selection of your breakout box accessories like test leads, shorting plugs, equipment cases and more. Browse through our test equipment catalog by category, or use our search function at the top of each page to pinpoint the products you need by keyword. If you need any help in finding the right breakout box or breakout board for your business, please call us at 321-676-7596 for immediate professional assistance. The D-SS Series Breakout Boxes feature stainless steel connectors and are available in all sizes. The D Series Breakout Boxes are our heritage design. 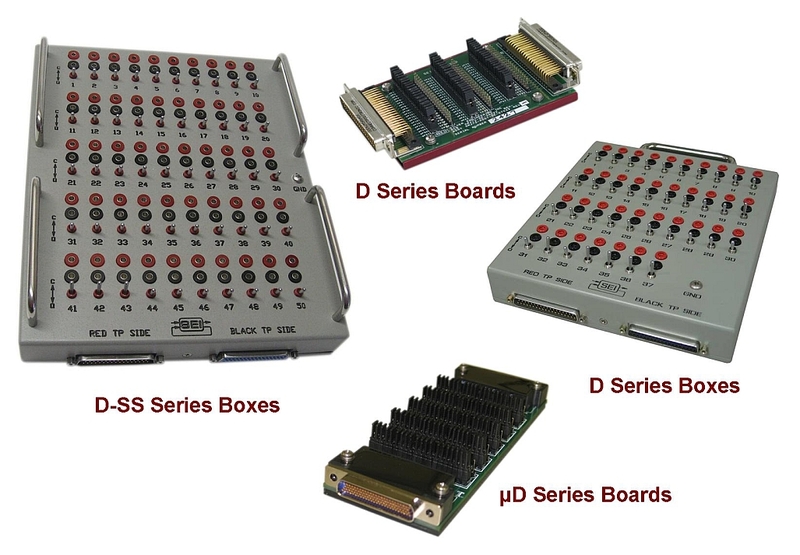 The D Series Breakout Boards offer a small footprint for test signal access. The Micro-D Breakout Boards offer signal access to these miniature style connectors. We also offer Custom Breakout Boxes and cables per your individual needs. In addition, we have lots of Accessories to assist you in your test signal access.